In many regions of the developed and developing world, large human populations live in arid environments that out of necessity depend on scarce or imported water. This is certainly true in California and the Western US where a complex infrastructure of dams, canals, and groundwater extraction provide freshwater for some of the world's most productive farms and some of the world's most opulent living conditions. Compounding this insatiable demand for freshwater is the effects that variable environmental conditions of a warming climate, changing precipitation, and increasing frequency and severity of droughts have on over-taxed water supplies. While water resource managers contemplate these issues, the farms and cities keep consuming, despite dwindling supplies. The 2016 meeting of the Society for Freshwater Science will be held in Sacramento California at a time when the State is experiencing the worst drought in its modern history. Although droughts are not uncommon in the Western US and other semi-arid regions of the world, expanding human populations have accelerated the loss of freshwater resources and the impacts to aquatic organisms. 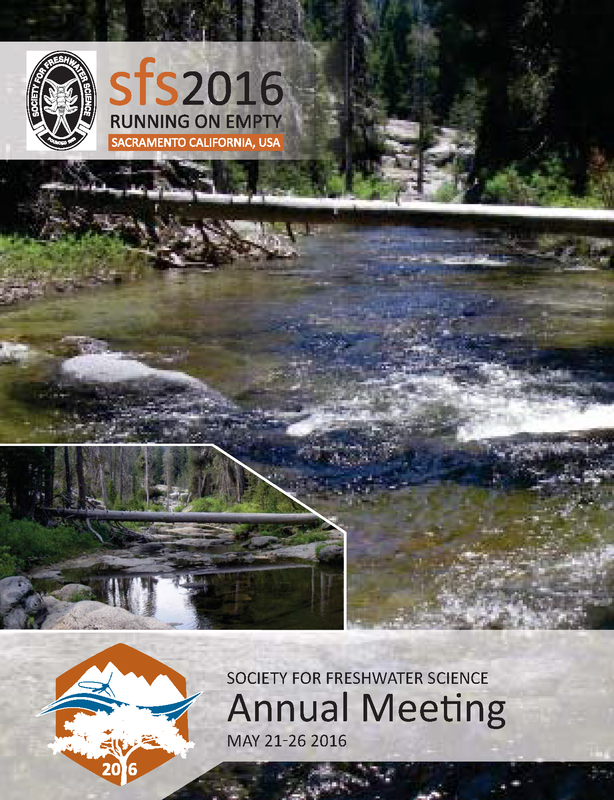 The theme of the 2016 meeting of the Society for Freshwater Science will focus on declining freshwater availability and explore issues of freshwater depletion, the consequences for freshwater ecosystems, and potential solutions.